Futura Logistics Corp. is a privately-held, family-owned corporation . Futura Logistics Corp. was founded in 2004 as a public warehouse company in Miami, Florida. That single warehouse had only two employees: Founders, Rodolfo Perez. Today, Futura Logistics Corp. is one of the nation's leading third-party logistics providers (3PL). That single warehouse has grown to over 15,000 square feet. Futura Logistics Corp. currently provides logistic services for many industry-leading, BMW USA, Terra Network USA, Sportcom USA, PSI Traiding, AC Logistics, Team Worldwide,Euro Logistics, ALL Over USA, Vivai, Broom USA, Y-Not Promo, Concept Brokerage,and Hankyu Hanshin and more. 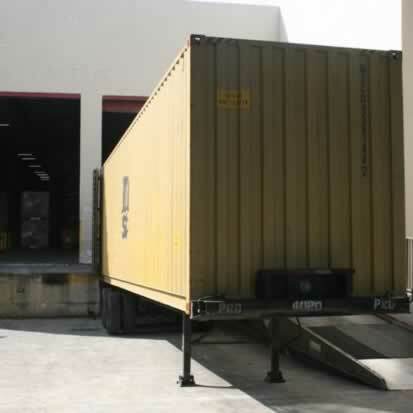 Futura Logistics Corp. offers a transportation management system solution using Lean Logistics best of class products. Lean Logistics meets the latest needs of major shippers of goods with its far-reaching, Web-native Transportation Management System -- On-Demand TMS™. Customers reduce their transportation cost and increase efficiency with a typical payback of less than one year - Return on Cash™.